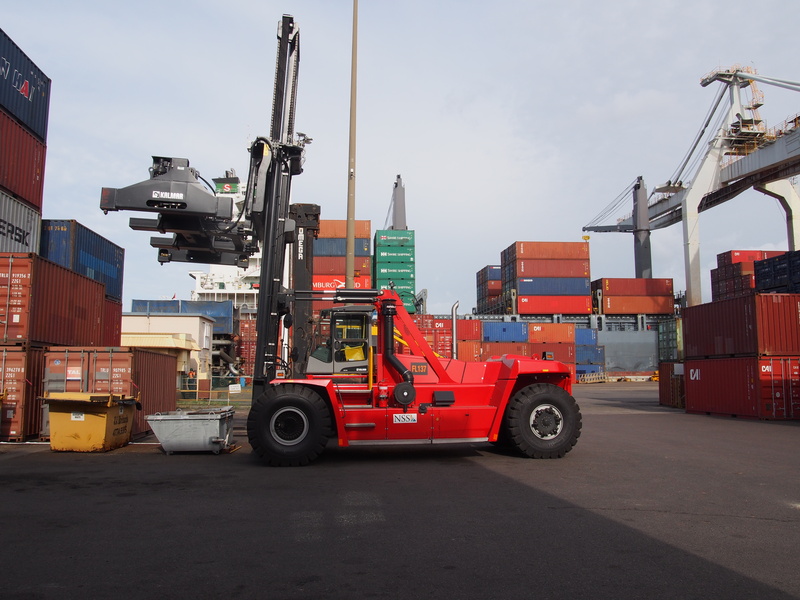 NSS this week commissioned its new Kalmar DCF 420-12 heavy forklift at its Townsville operation. The brand new machine sports a 20’-40’ toplift container spreader and is capable of lifting up to 42 tonnes. The 10.8 litre, six-cylinder engine generates more than 1800Nm of torque and effortlessly handles containers through NSS’s Berth 3 terminal.